Life gets hard sometimes. 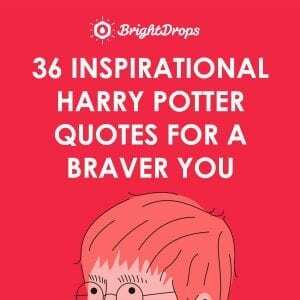 Read some of these short inspirational quotes to bring comfort and peace to your day. Many times we wait for the perfect moment to do something. 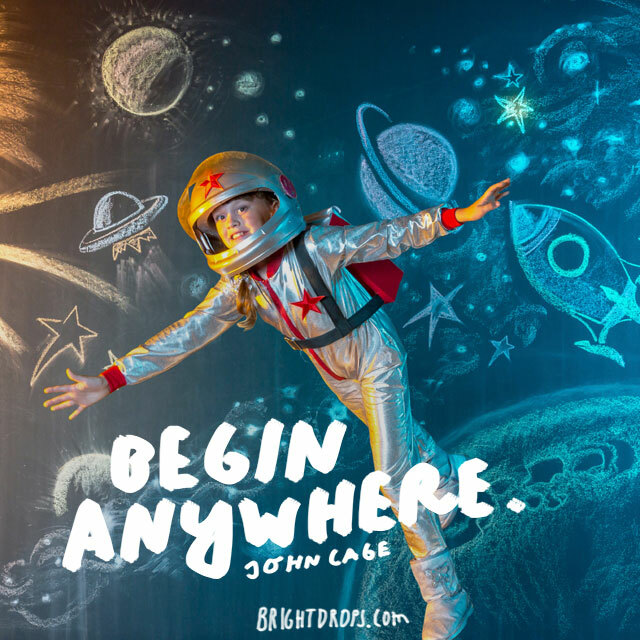 Instead, consider starting exactly where you are. 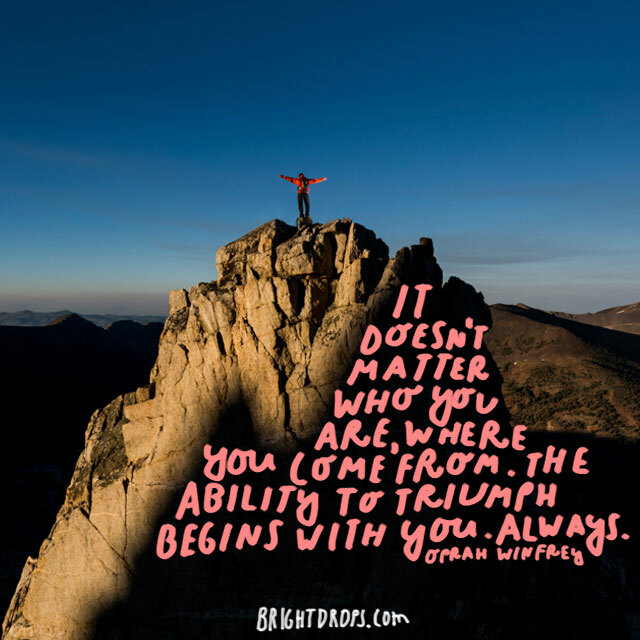 Once you begin, the momentum builds and it is easier to keep going. 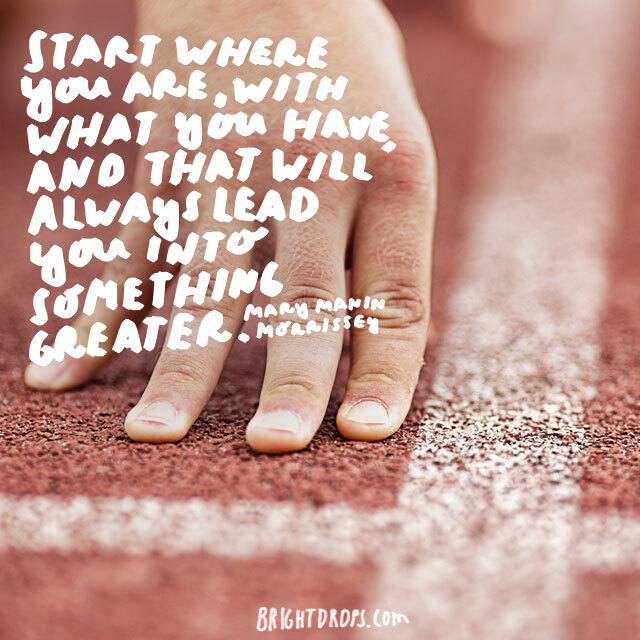 Don’t worry about starting at a certain point, or needing it to look a certain way, just start! Miss Parton has a point. You are the master of your life and if you are somewhere that you do not enjoy in your life, pave a new path and walk a different direction. Change can be hard at first but once you decide to create something better for yourself, everything else falls into place. Many times people focus on wanting to be just like everybody else. However it is our unique personality traits that make us extraordinary. If you’re so busy trying to be like an average Joe, you will miss out on being the amazing self that you are. 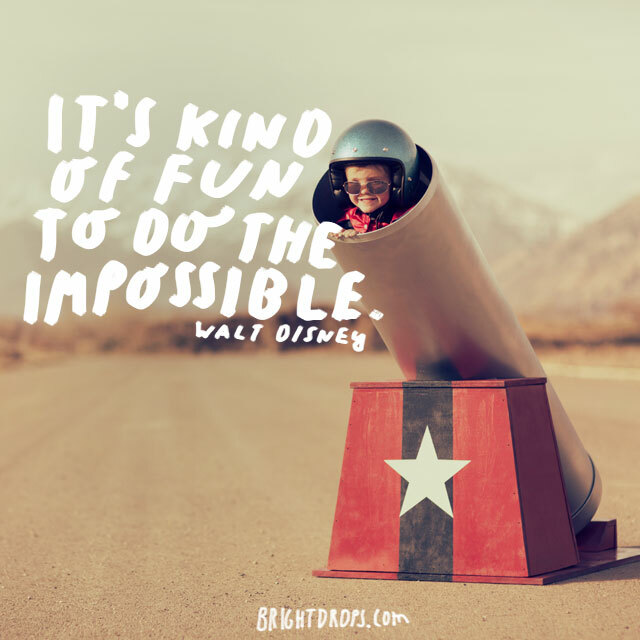 Walt Disney certainly did things that many thought were impossible, didn’t he? When you have haters and naysayers heckling you you because they do not think that you can do what you say you can do, and you do it, it is the most validating feeling in the world! 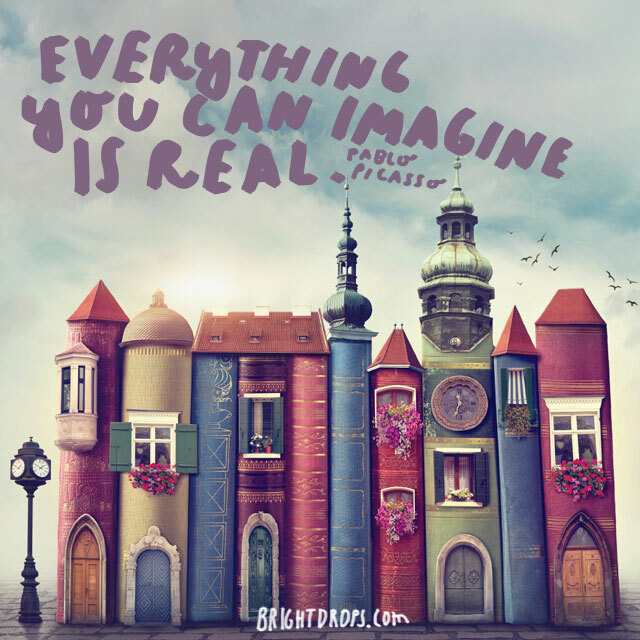 As a world famous artist, Pablo most certainly did believe that everything we imagine can be real to us in some way, shape, or form. There are many ways to go about creating what we imagine for ourselves. The trick is simply to believe and trust that we can. 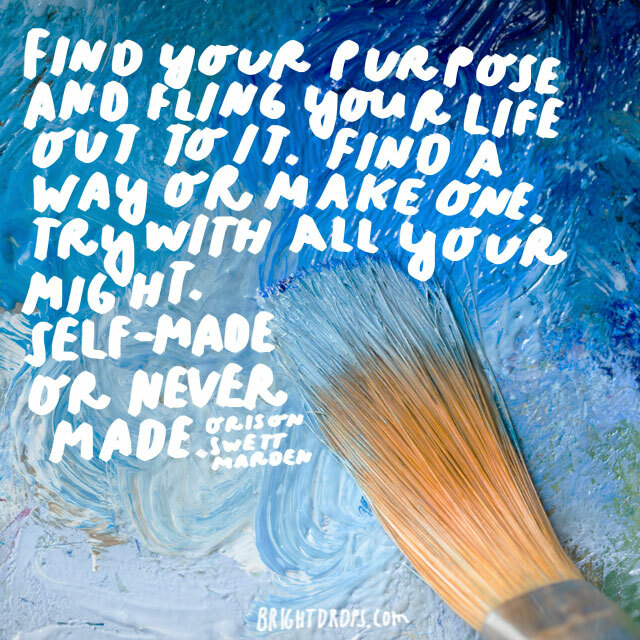 If you are not sure what your purpose is, then create one for yourself. Anything that sparks passion within you and is something you truly enjoy doing qualifies as a purpose. When the soul is not able to live authentically, it slowly dies in the daily grind. It is true that we don’t often know how strong we can be until our strength is tested. However, believe that you have all of the wisdom and strength within you that you would ever need. You are much greater and bigger than any challenge you might be experiencing. Most of the stress around our challenges comes from the fact that we’re fearful and anxious about them. 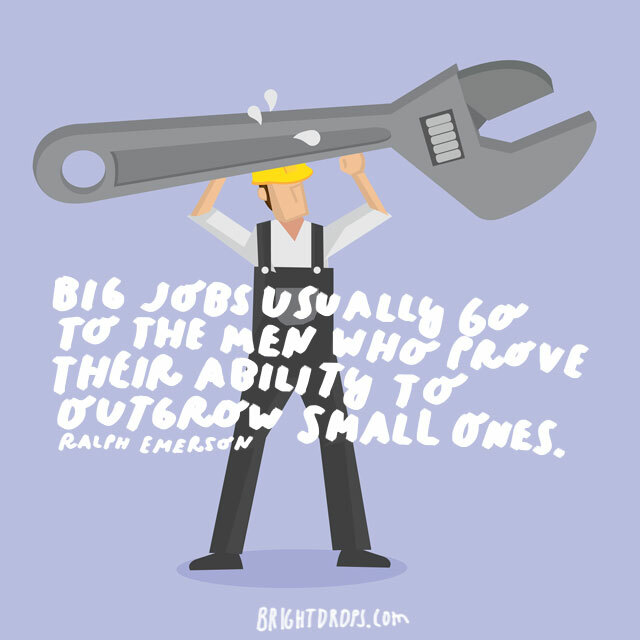 However, when we pull our bootstraps up, hold our heads high, and deal with our challenges head on, we find that many of them aren’t even as big as we had first anticipated. Here is a another great quote from Miss Parton. Spend quiet meditative time with yourself to really get to know who you are. 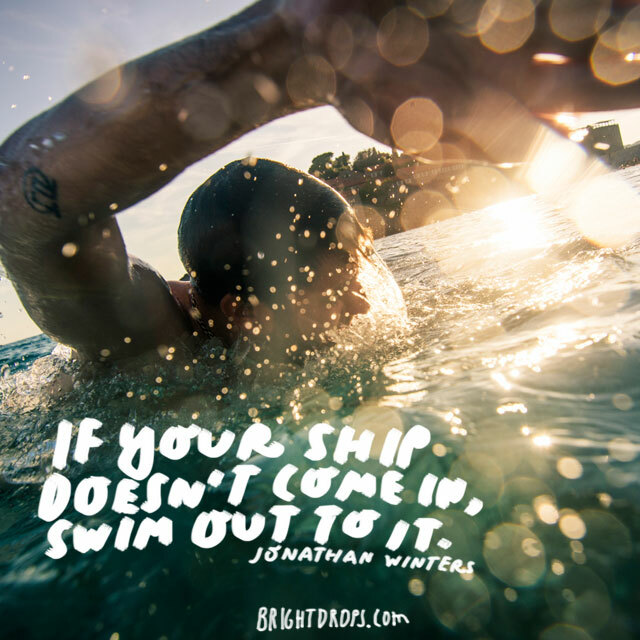 Once you have done that, then go out in the world and live your life on purpose. Live with boldness, and perhaps a touch of flair. 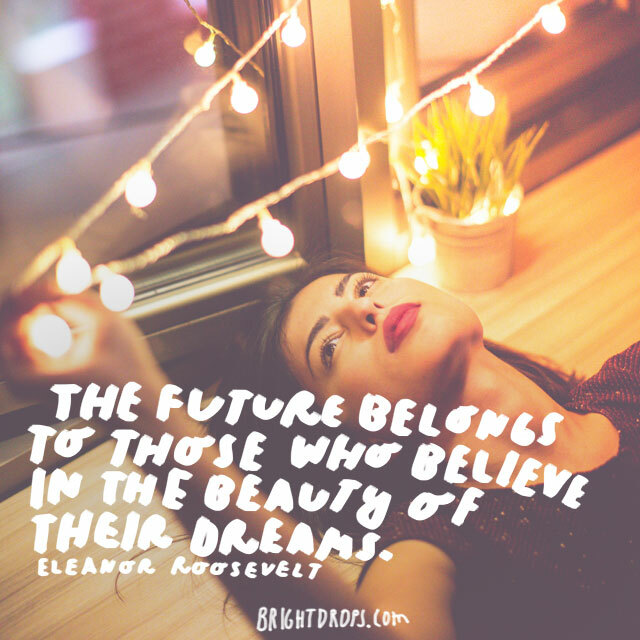 A glorious future is in store for those who truly believe that their dreams are worthwhile and worth achieving. There is magic in believing in our dreams. 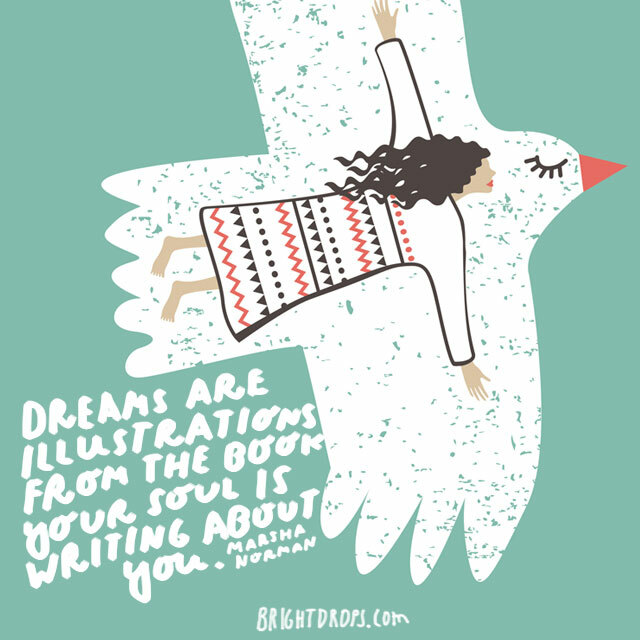 Otherwise, the alternative is to tell ourselves that our dreams are worthless and keep trudging through day by day. What camp are you in? This has to be the most simple and short inspirational quote yet. 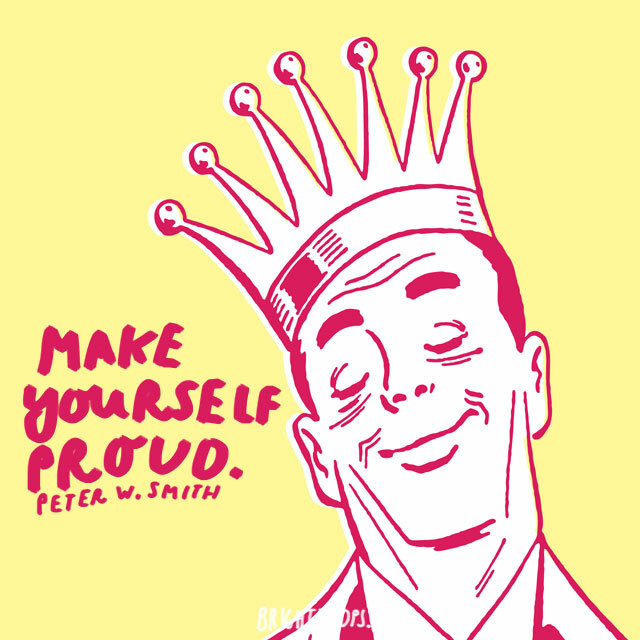 It if you aren’t going to make yourself proud, then who will be proud of you? It is important that we take pride in our accomplishments, and there’s absolutely nothing selfish about that. Why be like everybody else? Didn’t your mother ever tell you that the following the crowd was often a bad idea? 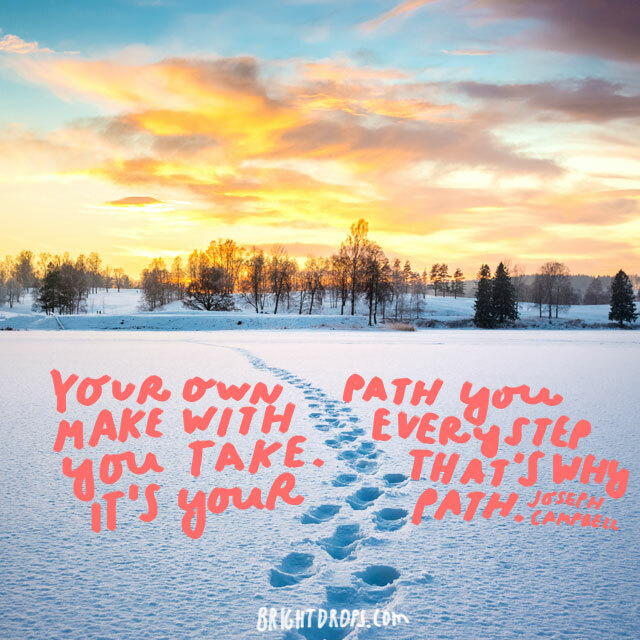 Get out some tools and clear a path for others to follow, and one you can be proud of creating. Think outside of the box and be creative in your life. The past and future are irrelevant when compared to the power of the moment. It does not matter what has happened to us, or will happen to us, what we have within ourselves is some of the most powerful magic that exists on the Earth. Believe that it is true, and it is. Many times are our own doubts and fears keep us from doing things we would otherwise be very good at doing. 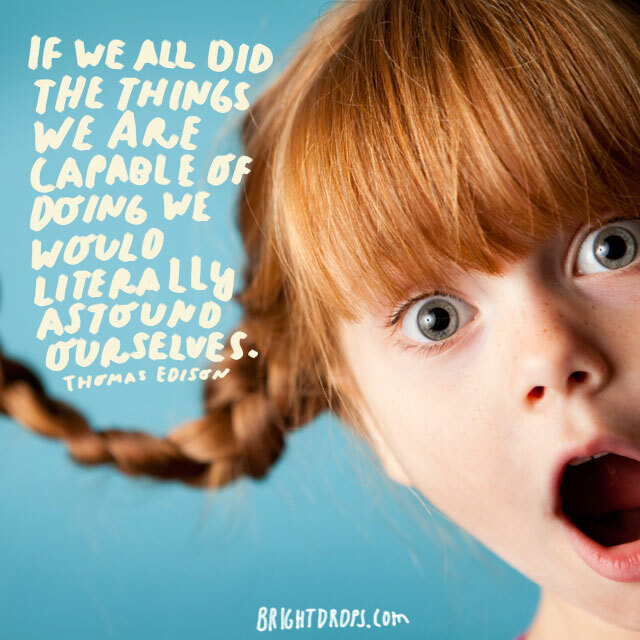 If we were able to do all the things that we would like to do, we might be utterly surprised at the power within us. 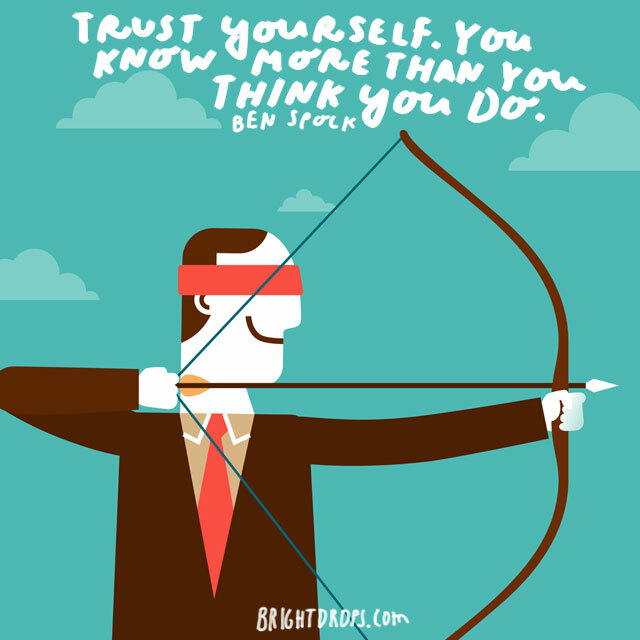 Try trusting in your abilities today and see what happens. 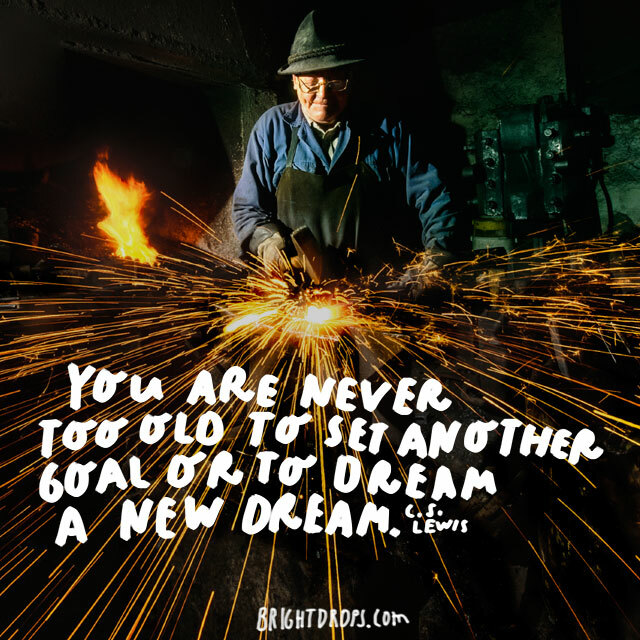 But that you will be too old if you die before you actually ever set another goal or dream a new dream So you might as well seize the day and get started! You may just be setting an example for others that were too afraid to try. Your soul whispers to you that it wants you to do more and be more, but your brain gets in the way telling you you are not worthy, or can’t do it. Hold fast your dreams and trust that if you work hard enough you can achieve them. Faith is trust in things that are hard to measure with the human eye. 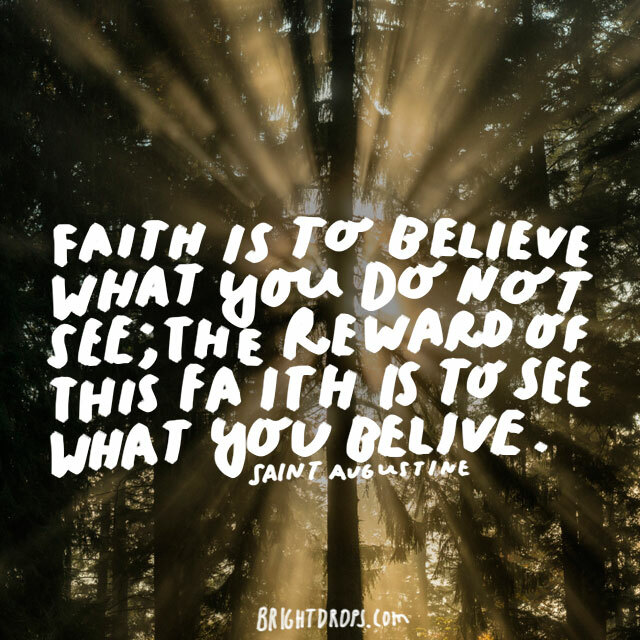 But the more you practice faith it actually allows you to see what you have been believing. Have faith that your life can be happy, content, and successful. 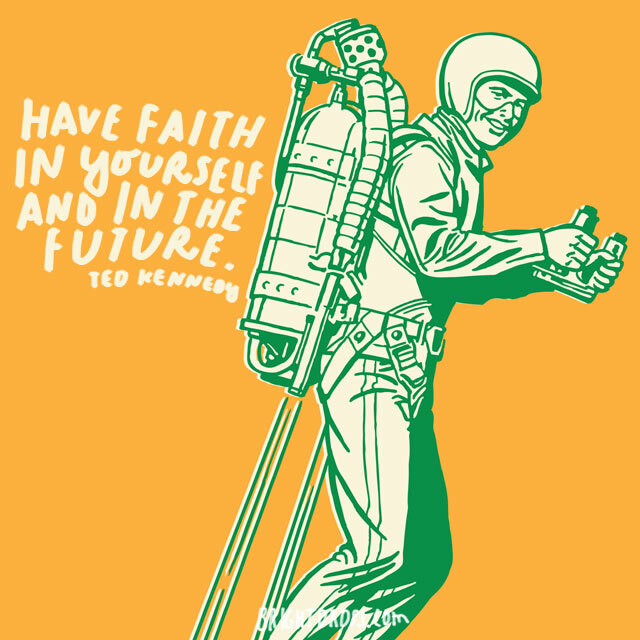 Even if it is not right now, holding onto faith will help you start manifesting what you want. Happy people do not often have the easiest of lives. Most often, the happiest of people are those with many troubles and challenges. 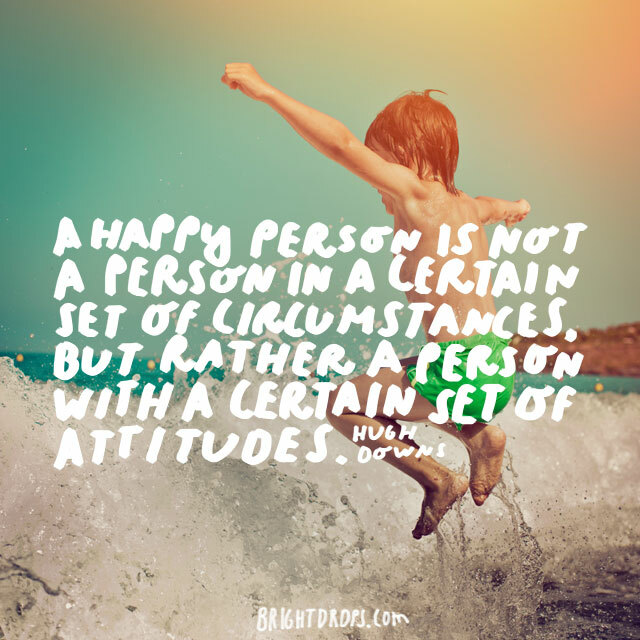 This often means that despite their struggles, people are choosing to maintain a happy attitude no matter what. You could take a lesson here. Many people live lives on the outside of themselves and get confused as to why they continue to have personal problems. 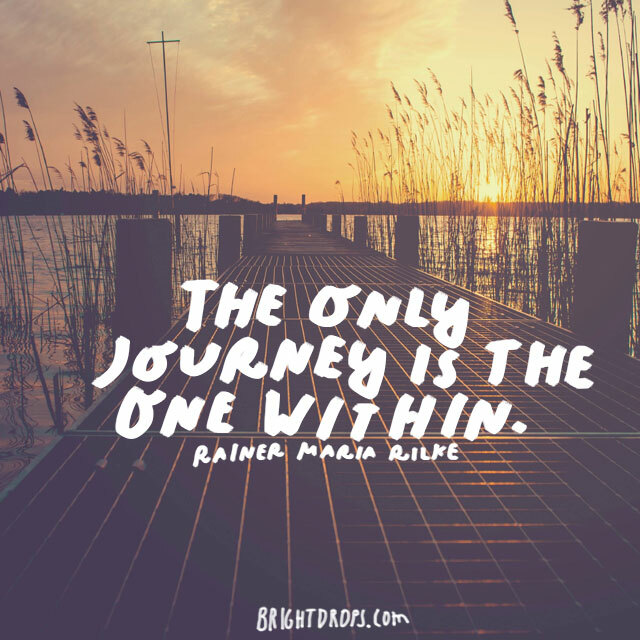 The only journey even worth taking is the one with in yourself. Self-discovery, awareness, and accountability go a very long way in this world toward living a peaceful happy life. You are not a victim unless you decide to be. 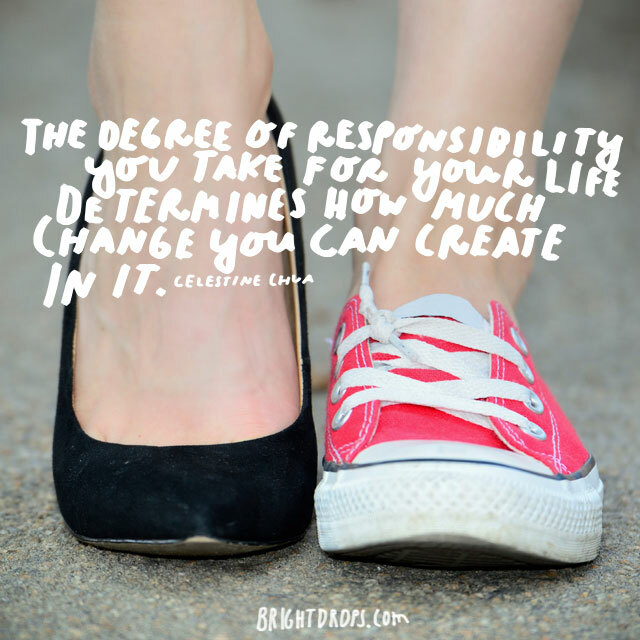 Take responsibility for what is happening in your life and the role that you are playing in it. Once you can do this, you have all the power in your hands to create something different for your life. Do not wait for the day that you will have everything you need to do what you want. Simply start with what you have and get moving. 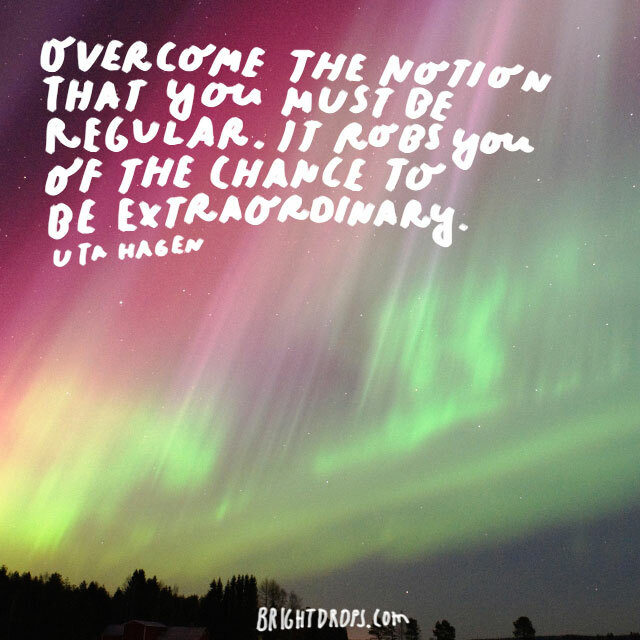 Once you create momentum in your life, the rest you should come much more easily. 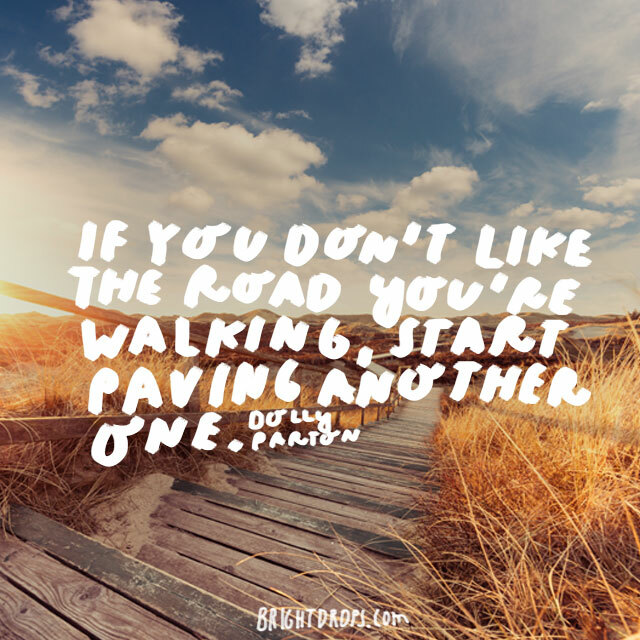 Just take that first step. A weak man will brag about himself and posture himself above others so that he might attain even greater success. 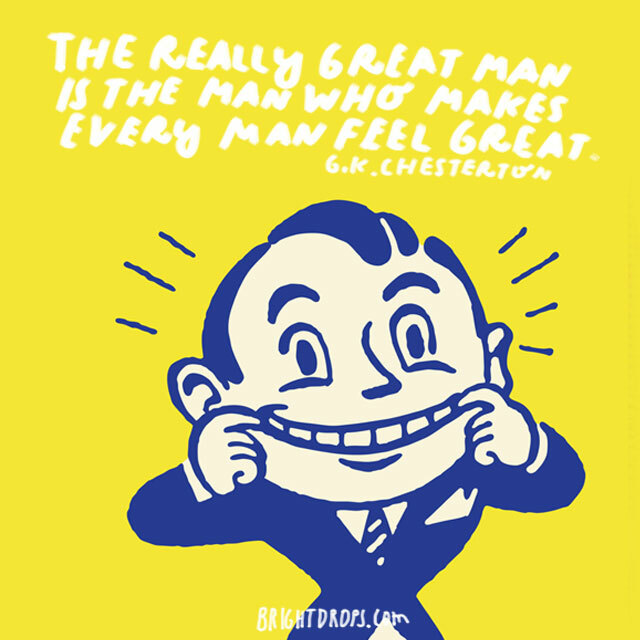 But a great man makes everyone feel valued and heard within every interaction he has. Great men also encourage, compliment, and support other men. Everyday is a new chance to be a different and better version of yourself. 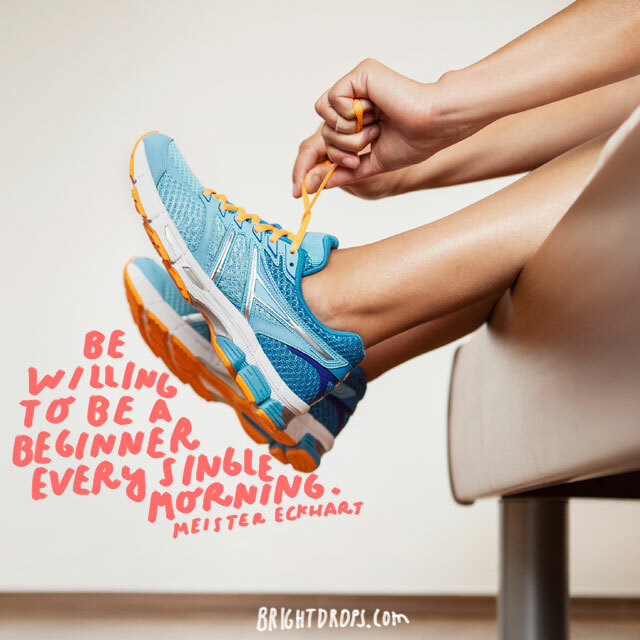 Start over every day with each new sunrise and be willing to learn something new. Along with that comes a willingness to be humble and grateful about different things every single day. If you had a bad day, that’s ok. A new one will come tomorrow. The world to truly does need people who come alive and share their light with the world. 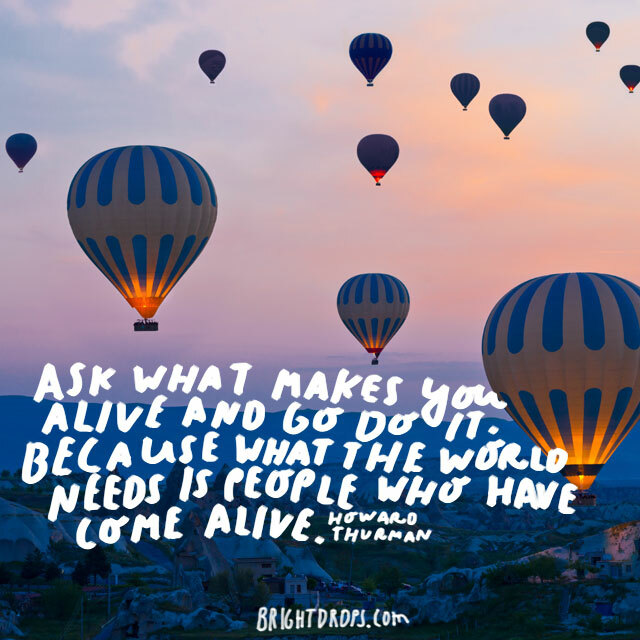 Do whatever makes you come alive, go do it! This might be repurposing furniture, creating art, making music, building things, or more. 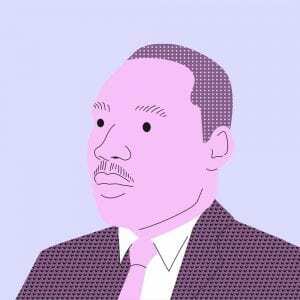 It does not matter what, just that you do. Everybody has their own individual paths. 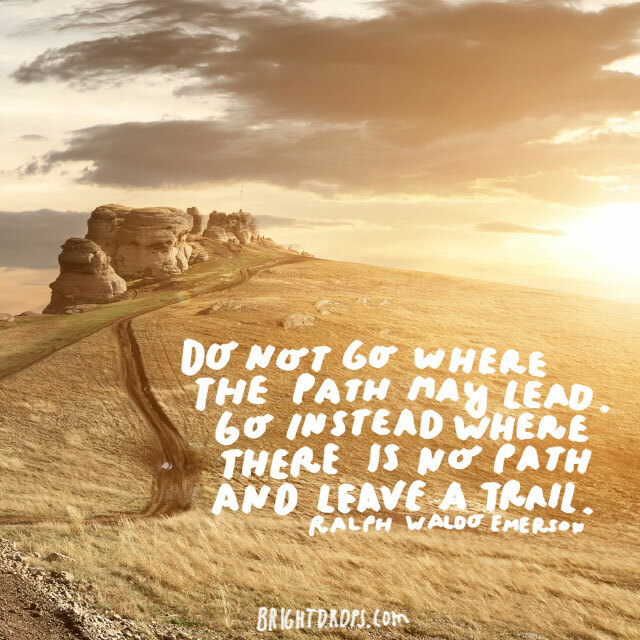 Every step you take keeps you on your path whether it be straight or if it contains forks in the road. Be respectful that everybody has their own path and that you have yours. Sometimes our lives converge with others walking the same direction and sometime our paths take us in different directions. 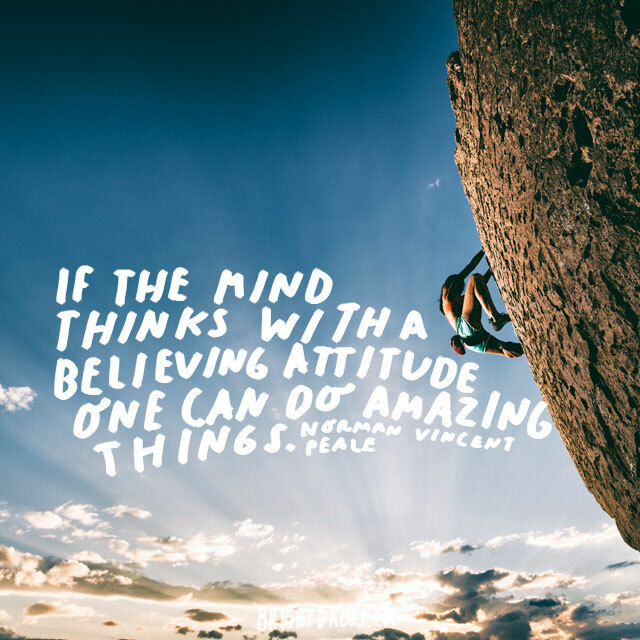 If your mind is optimistic and solution oriented, you can do some great things for your life. 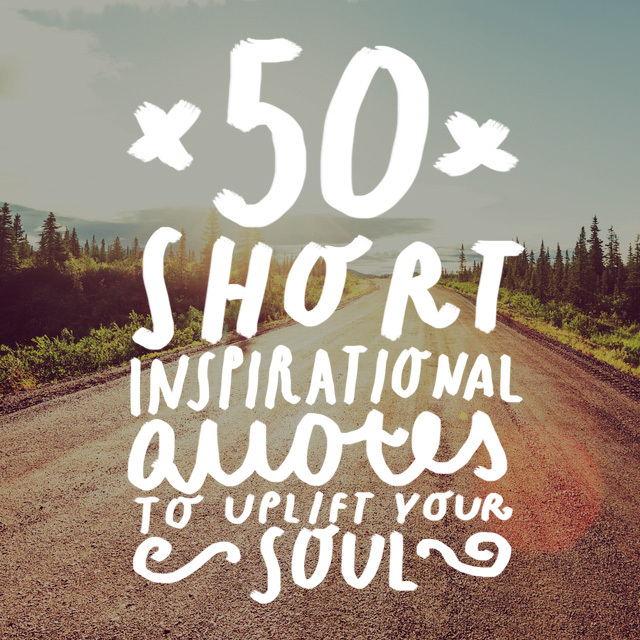 It seems trivial to say that positivity is as powerful as we say here. But it really is. Negativity is just as powerful and brings you down in many ways. So take on an attitude of belief, faith, and positivity and watch your life transform. The most worthwhile things often come with the most questions and doubts. Marriage, children, that new amazing job, they all have lots of benefits but can be quite scary. Consider looking at your fear as simply excitement that’s a bit confused. Excitement and fear are very similar. 35. 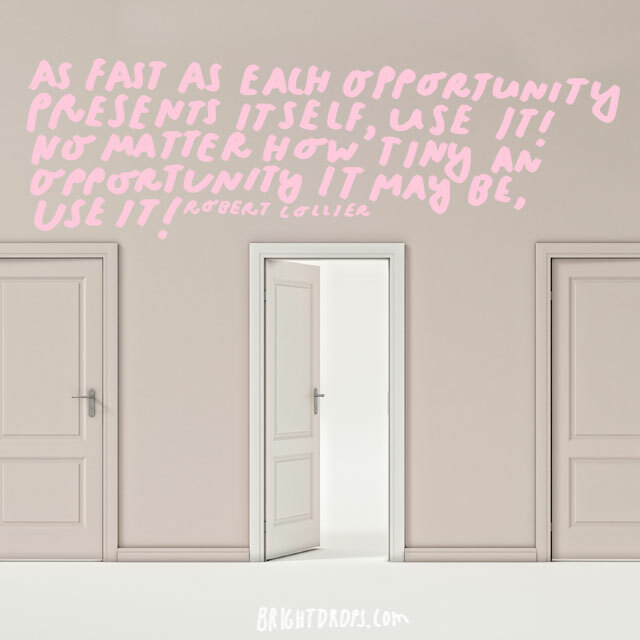 Robert Collier Says to Grab the Opportunity! It is true that some opportunities might need to pass you by based on their particular circumstances. 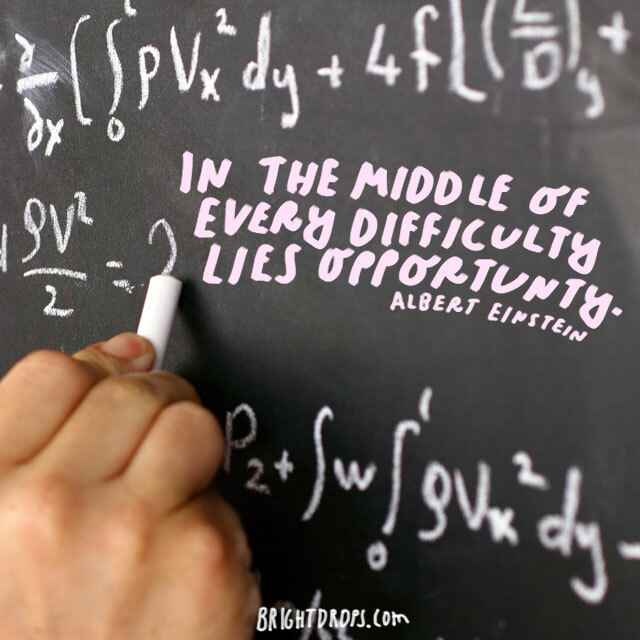 However, so many opportunities come our way each day that could be very useful to our lives. Take a look and see what opportunities are coming your way that you could take advantage of that would serve your life. 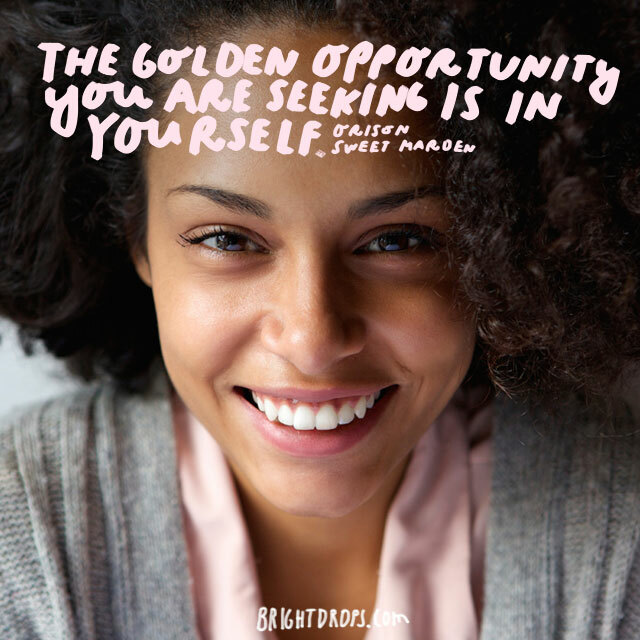 Do not look for golden opportunities outside of yourself. That which you are seeking is already within yourself. Be familiar with who you really are deep down and then use all of your attributes to perform beautifully in any opportunity that does pass your way. 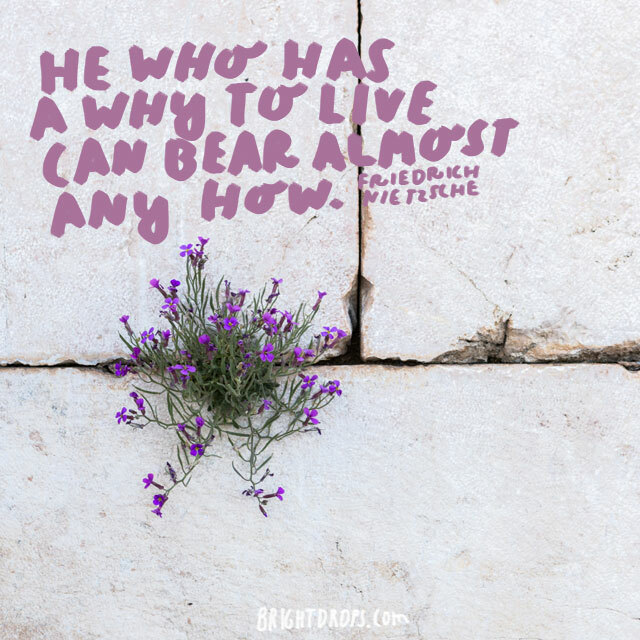 Many of us that have experienced times of trouble, those of us that have had illness, and those that might be grieving are all too familiar with this quote. No matter if life is giving you a basket full of rotten apples, sometimes getting up to look at those apples is enough of an accomplishment. Many great deeds that are accomplished are done so by the blood, sweat, and tears that go into accomplishing something great. 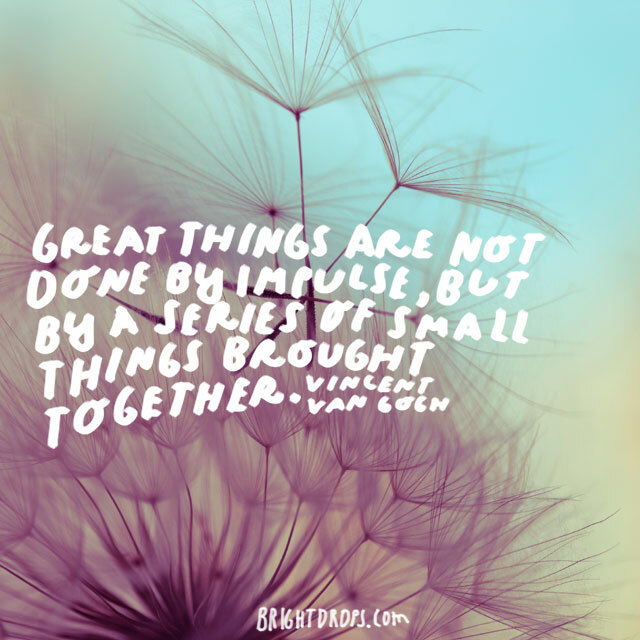 All of these little things add up and come together to create the results. It takes time, dedication and patience to perform great deeds, don’t you agree? Mediocre people are not often enthusiastic about much at all. They might do a good job but do it in such an apathetic a way that it leaves one feeling like something is missing. If you want to be really accomplished in life, apply some enthusiasm to everything that you do. 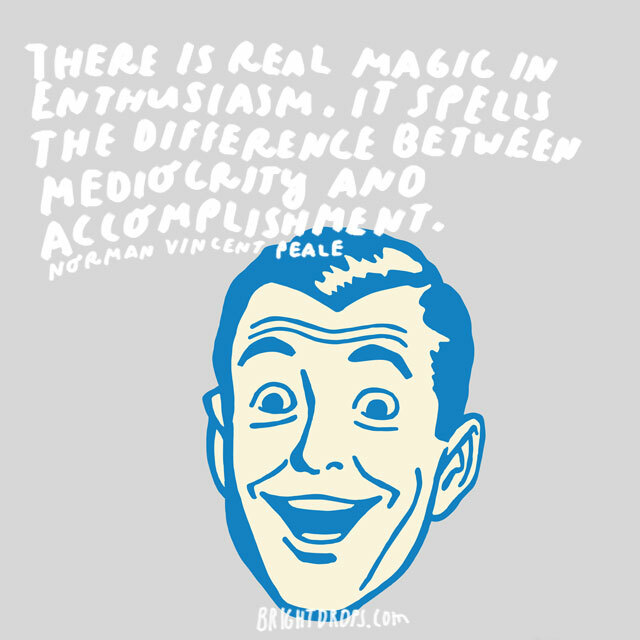 Not only is enthusiasm infectious, it’s extremely productive. Compassion crosses all borders and through all cultures. It is that soft connection between us that is exhibited through a soft touch, a hug, or an understanding look. It is a language that anyone can understand if they are open to it. 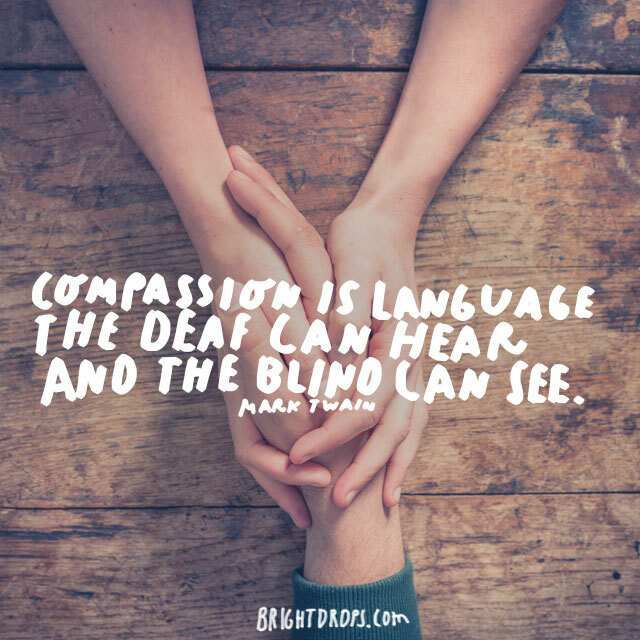 Where can you be more compassionate today? Getting rid of all of our troubles would be great if we could do it in one fell swoop, wouldn’t it? However, that is usually not something that is an option for us. 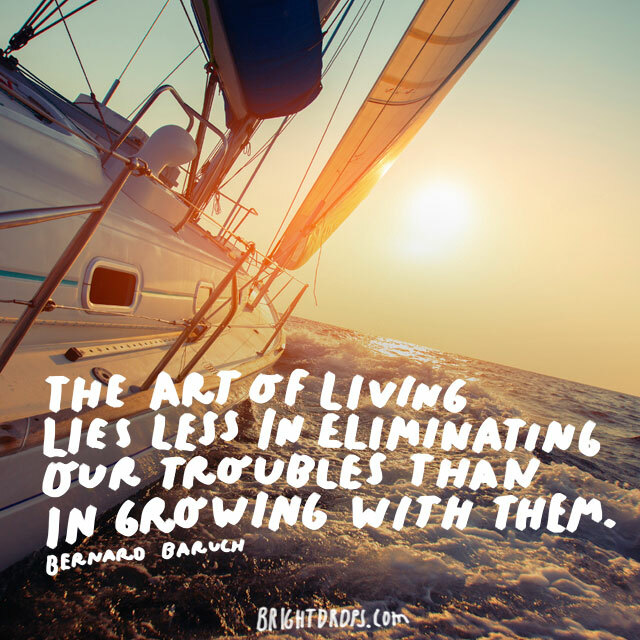 Every trouble has a lesson in it and it is up to us to learn these lessons and grow so that our troubles are more helpful than harmful. 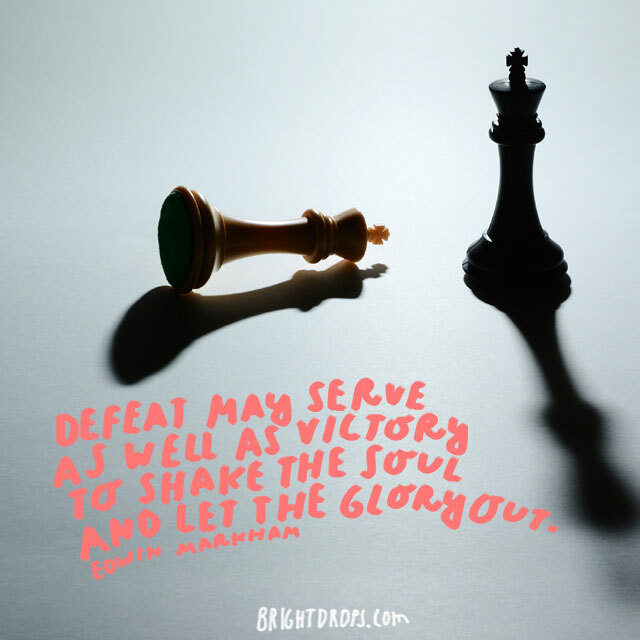 We all have the same ability to be triumphant over our challenges and troubles. 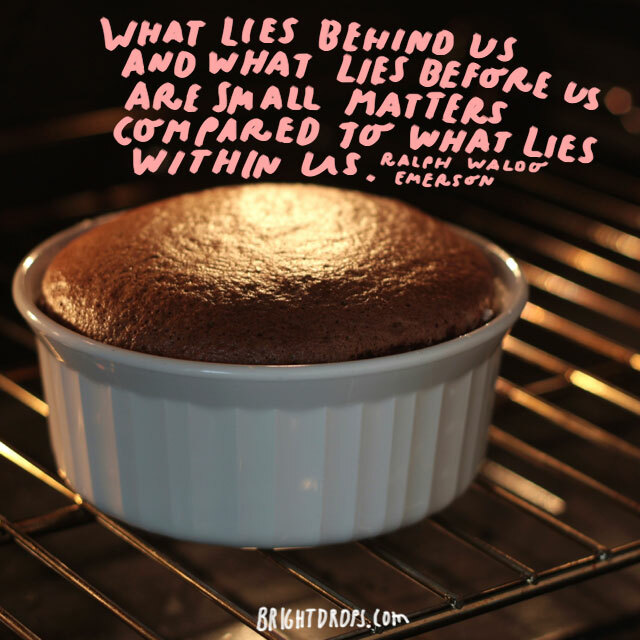 All of our strength, power, and courage lies within us. 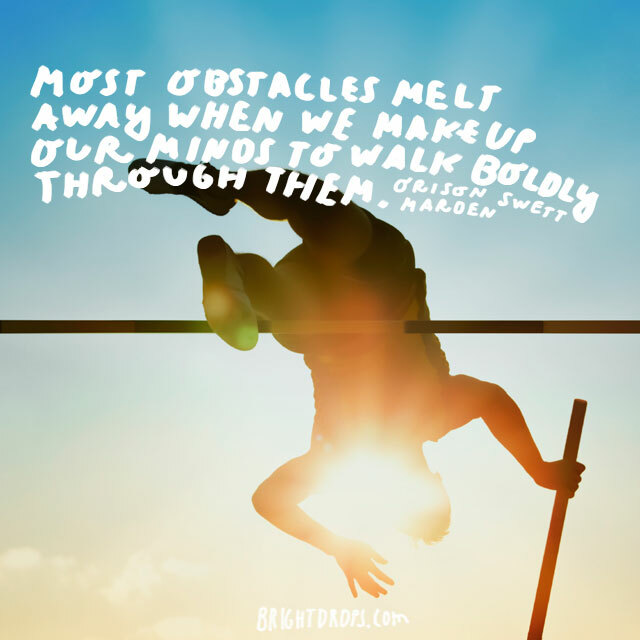 We have everything we need to transcend our obstacles. 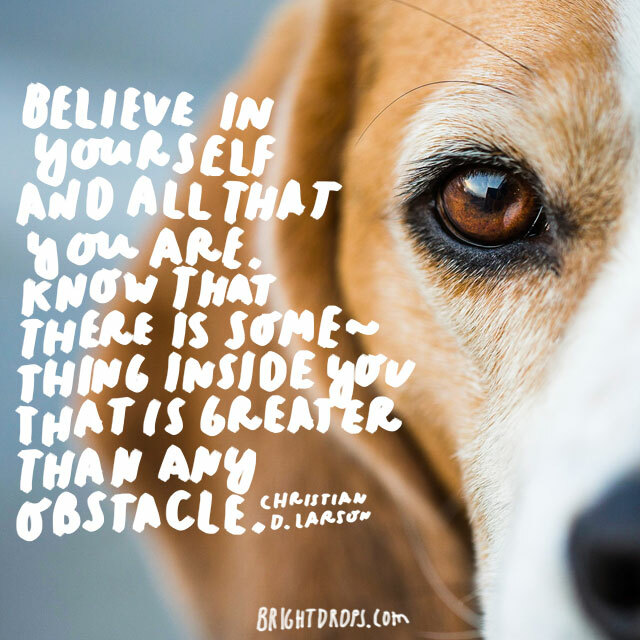 The key is simply believing in ourselves enough to be able to do so. You really do know more than you think you do. You are greater than you might seem as well. Just trust in your intuition, your abilities, and your conscience and you will find that you are more capable than you thought. 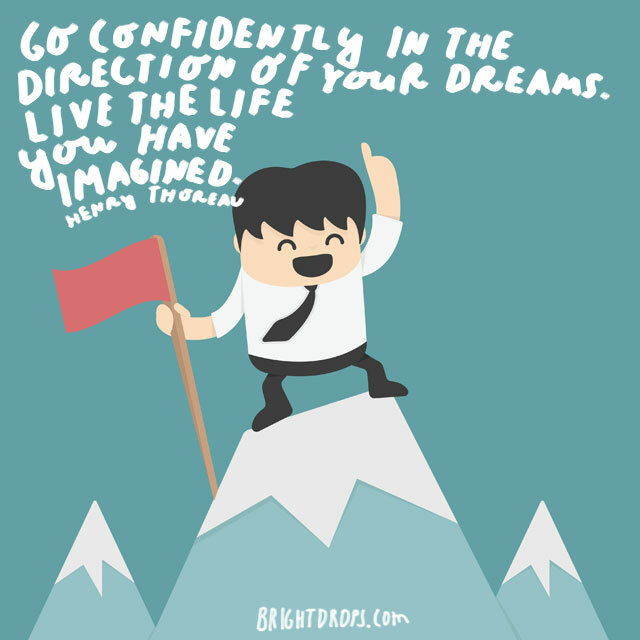 Be confident in the fact that you are perfectly capable of achieving your dreams. Living the life you want does not have to be in your imagination. It can take years to create the right circumstances and build a foundation for yourself, but the sooner you get started, the sooner you will have the life you want. Just keep going. 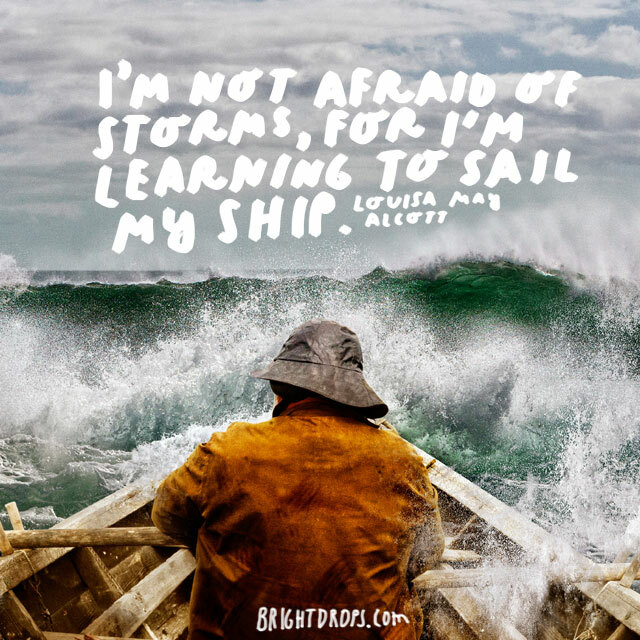 Fear not the storms of your life as long as you are learning to manage your sales. 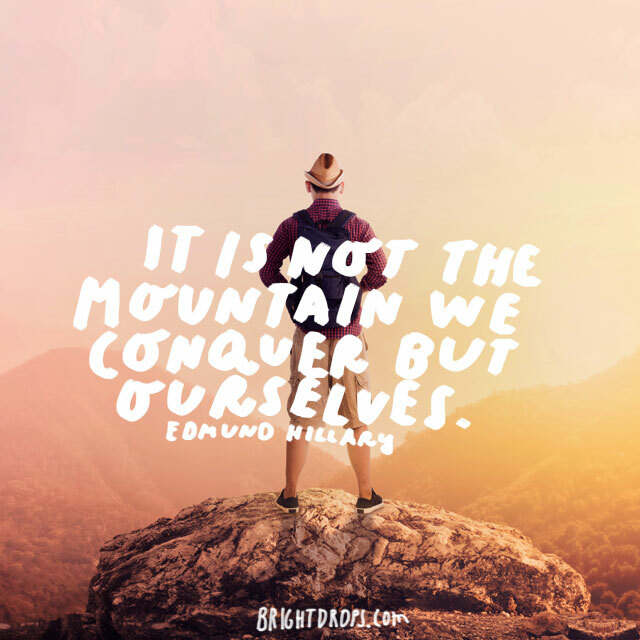 Every challenge that we face gives us an opportunity to learn that much more about ourselves. It is not until we go through some of these trials and tribulations that we learn exactly what we’re made of. 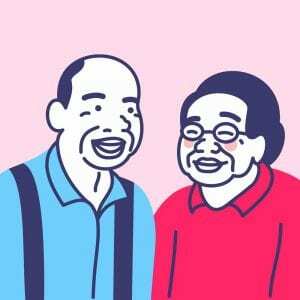 If you have extensive knowledge about something, make sure to share it with others. Spreading education is never a bad thing. 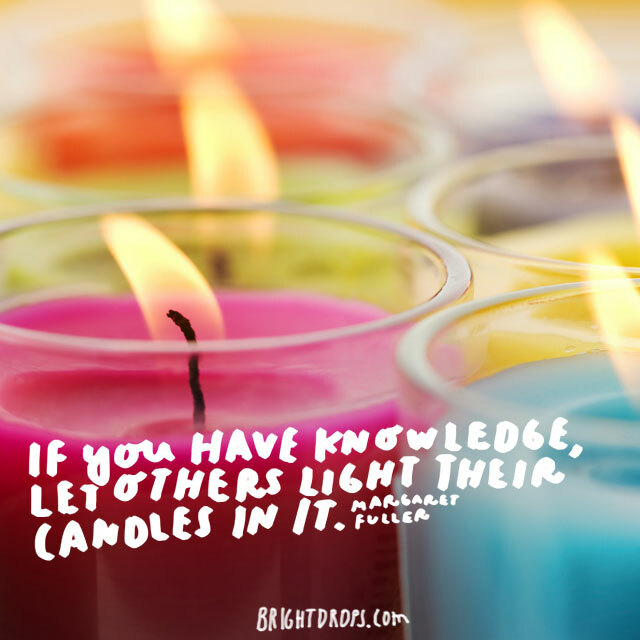 By sharing your knowledge and intellect, others might be inspired in ways you have never dreamed of. You might also say the perfect thing that someone most needed to learn. If you are waiting for at the perfect opportunity and it doesn’t seem to be coming your way, go out and grab it for yourself! 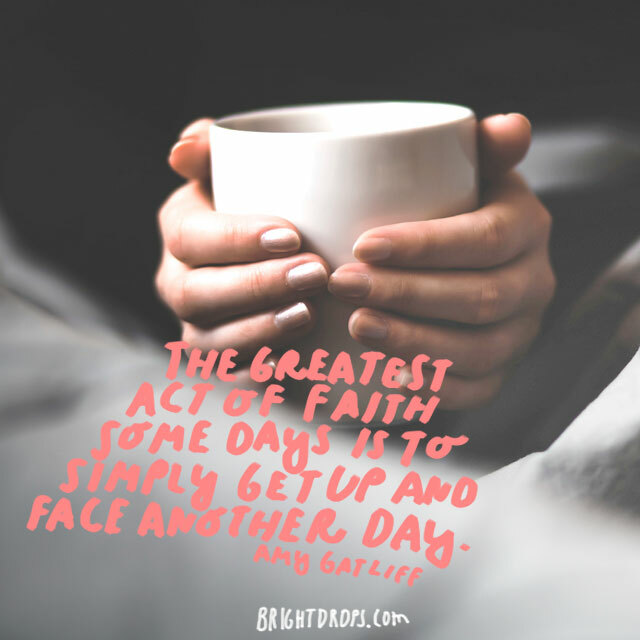 Sometimes it behooves us to sit and wait, yet other times we need to take action for ourselves to create the life that we want. Everybody is in such a rush these days. 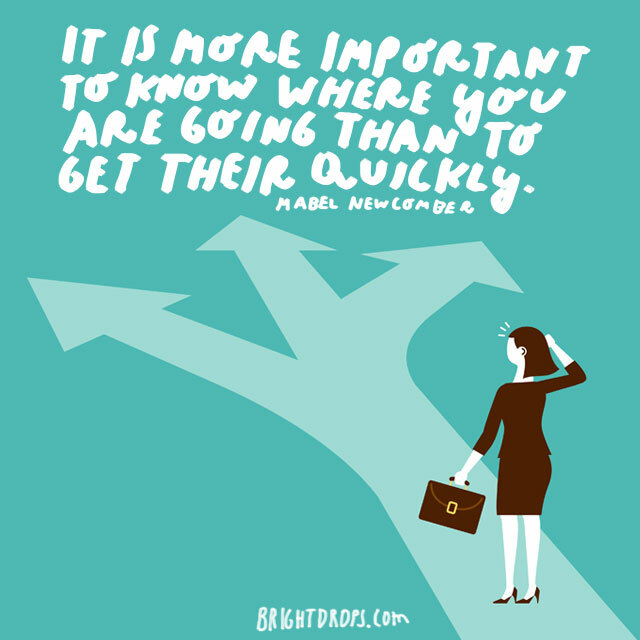 However, are people so busy going places that they don’t know where or why that they are going to them? It is wise to know exactly where you’re headed instead of worrying about getting there by skipping steps and missing information. You can’t possibly find yourself, you are already with yourself! 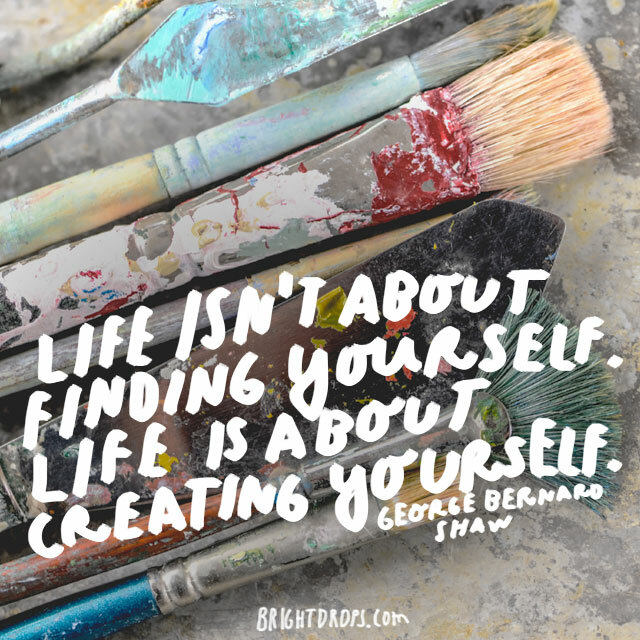 Life is about understanding and knowing yourself, as well as creating yourself. 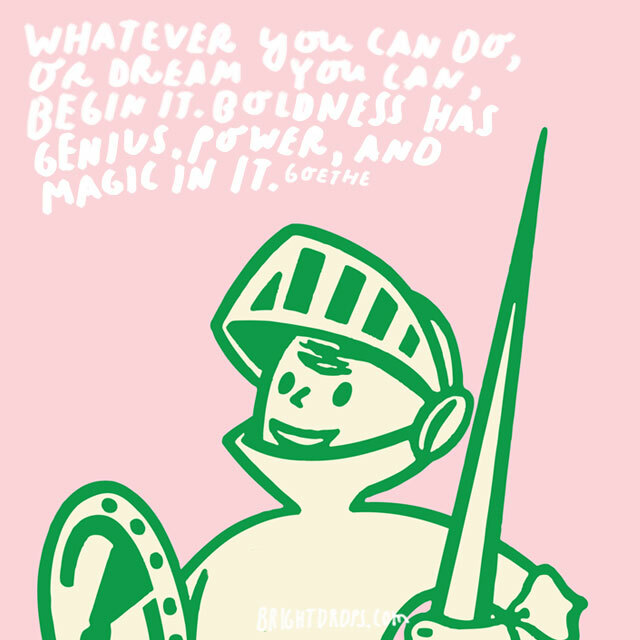 Go out and try new things, be willing to take a risk and just see how much fun creating yourself can be. 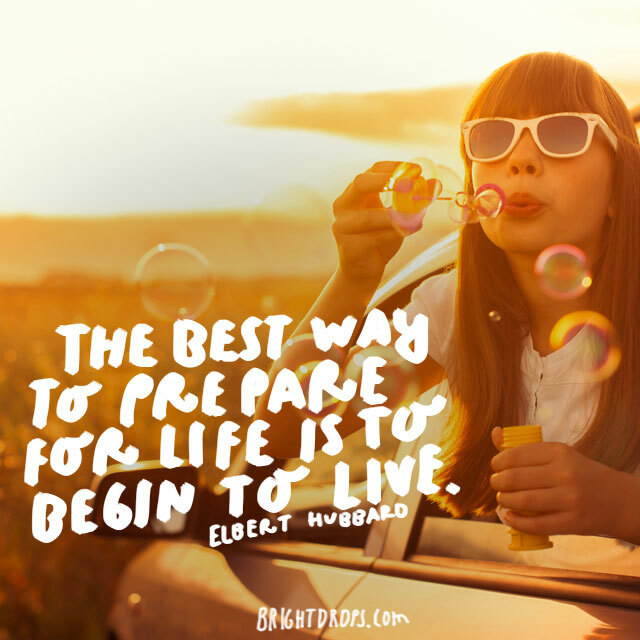 There really is no preparation for life. You must simply begin to live it. 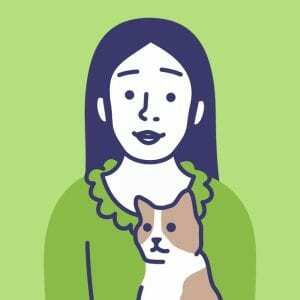 This might mean taking up a new hobby, putting down your smart device and paying attention to your children, or it could mean getting involved with some new groups in your community. Whatever it looks like, just make sure that you are living a full life.